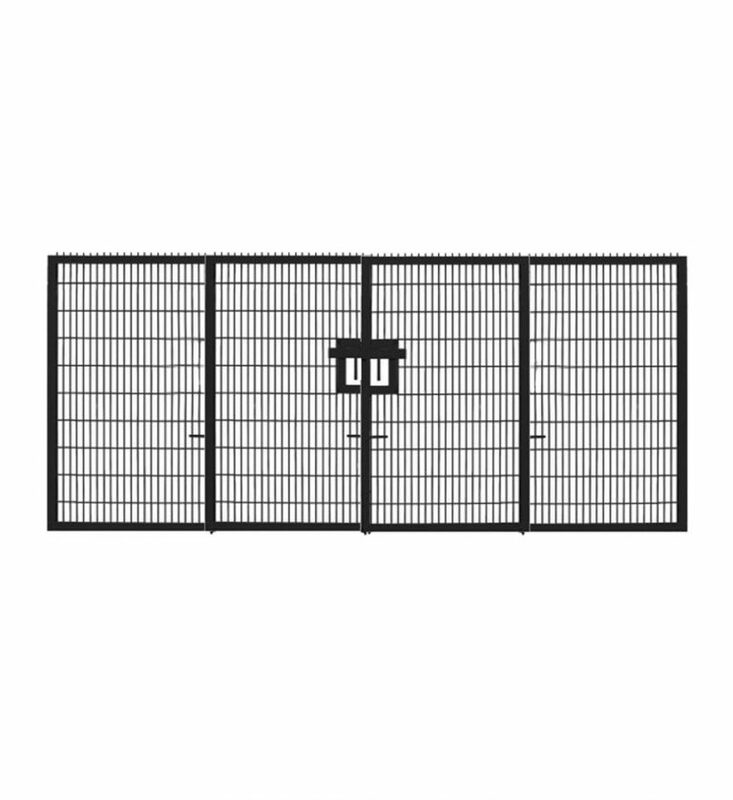 This 2.0m high Double Leaf Prison Mesh Gate can be used in a range of locations and on various ground types. 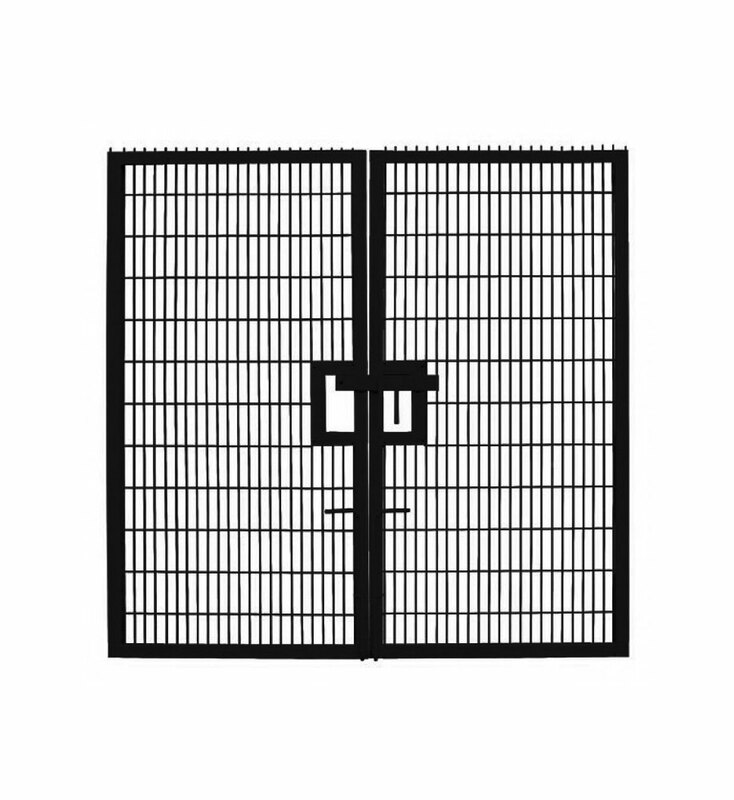 The climb resistant mesh (sometimes referred to as prison mesh or 358 mesh) with its small apertures and welds at each intersection eliminate foot and finger holds, prevent objects being passed through and is particularly effective against the use of conventional hand cutting tools. 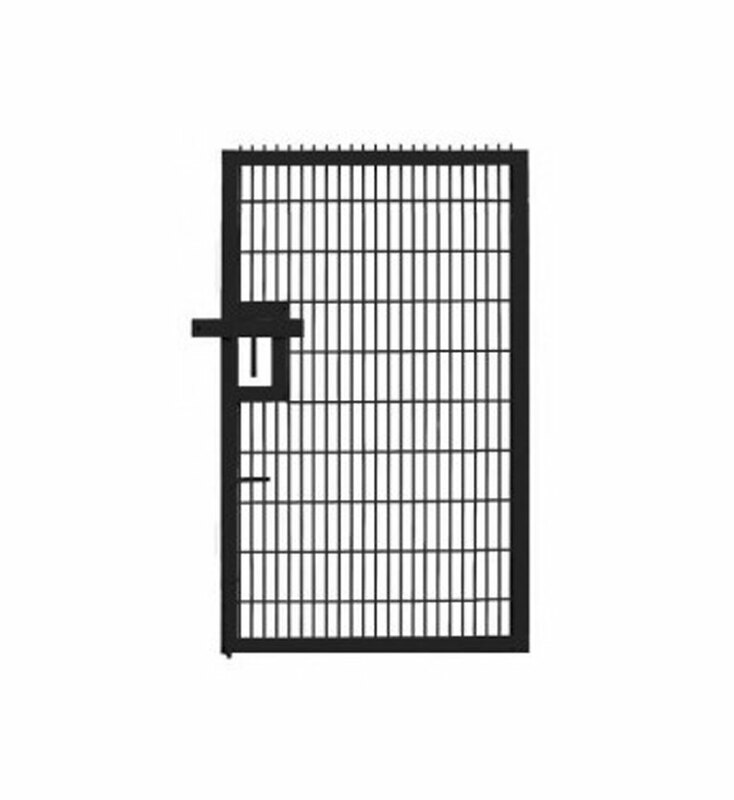 All our products are powder coated as standard unlike regular paint, powder coating will not chip or flake and does not need refreshing every couple of years. 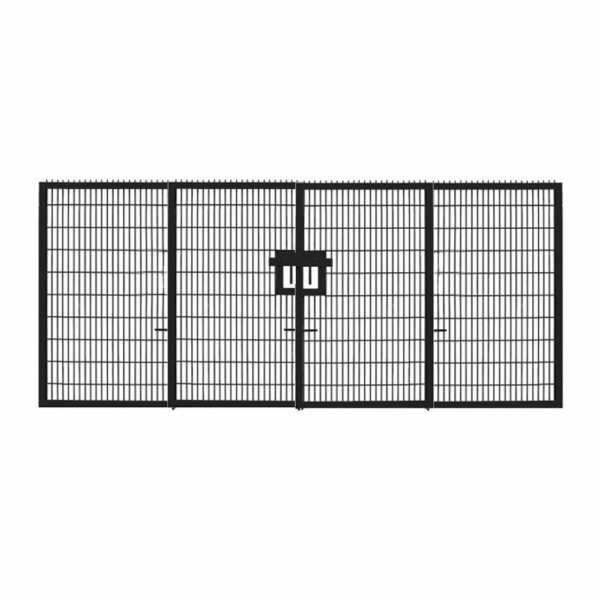 The protective coating is weather-resistant making it practically maintenance-free and ideal for both indoor and outdoor use. Galvanizing, i.e. coating the surface area of steel or iron products with a layer of zinc, is one of the most cost-effective methods of protecting steel or iron from corrosion. Once coated, it will be virtually maintenance-free for at least 25 years – and often much longer. 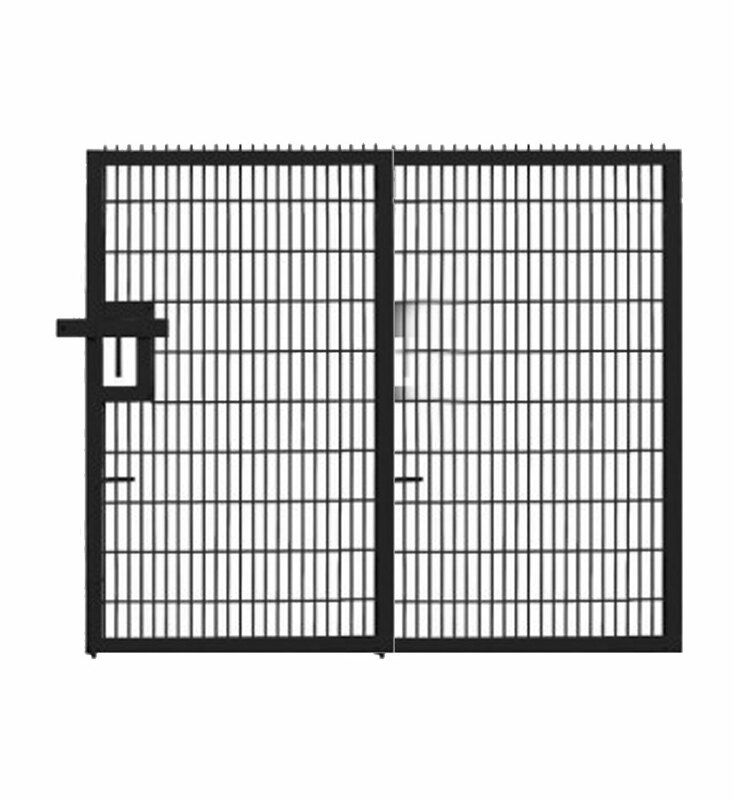 For this reason it is particularly suitable for our twin wire mesh gates.